Artists are generous and some have created and transformed amazing spaces. Christo, Andy Warhol, Jean Cocteau, Andrea Zittel, Kurt Schwitters, Louise Bourgeois, to name but a few. Some of these artists practices encompass housing and all aspects of day-to-day life design, as well as furniture, furnishings, clothing and even food. 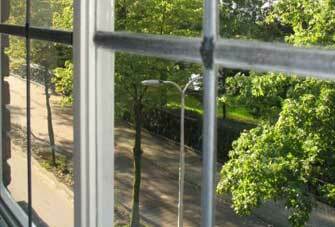 For others, space becomes an ongoing endeavour to better understand human nature and the social construction of need. SEA Foundation’s founders, Dutch artist duo VanGerven|VanRijnberk, have created Home to Contemporary Art. In this domestic and artistic environment travellers encounter a warm, welcome. A place where our guests are surrounded by artistic images and ideas that can override your framework for understanding the world. It is the combination of home and works of art that challenge the perception. And this is the first principle of Home to Contemporary Art. SEA Foundation and BnB Tilburg have their home base in a fine 1930s Amsterdam School style building right in the city centre of Tilburg. 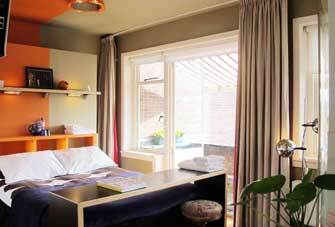 The location is close to theatresTilburg, cinemas, De Pont Museum, Textile Museum and Music Venues. The small-scale BnB offers a unique and luxurious environment. A fabulous experience and memorable encounter with contemporary art, combined with refined luxuries, such as ultra smooth, pure cotton sateen sheets and a bath for two. All this is set amidst contemporary art in a striking decor. After a good night’s sleep, a sumptuous sunny breakfast awaits you served at the terras in the lush garden or in the salon or in the gallery. You will be served oven fresh rolls from the best baker in Tilburg, slow coffee made by your hosts, accompanied by fresh eggs, juice from oranges squeezed by hand, homemade jams, cured meats or if you prefer, vegetarian treats. Everything organic, of course. 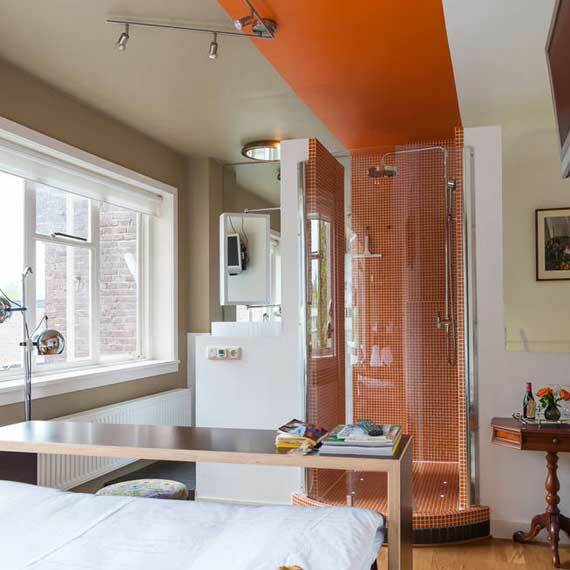 Orange Submarine Eclectic room, modern design with an amazing amount of daylight and soothing, enveloping colours orange. Ever dreamt of what a “BEAM ME UP SCOTTY” rain shower feels like? 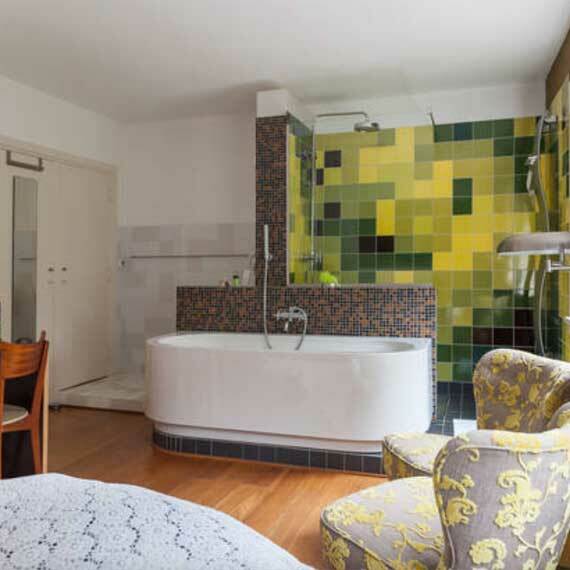 City Park Greens The room breaths ambiance and boast a circular bed, an open plan bathroom with bath4two and a few other surprisingly smart and inspiring additions. Great atmosphere. City Park Greens has an enticing round bed to sleep on. The renaissance green sleep as here is pure quality for you. From the unique Panorama Shower, which has been specially created for Orange Submarine, you look at the world with different eyes!